Students researching hospitality degrees in Kansas will find plenty of opportunity to hone their skills as future leaders at one of the Sunflower State’s many technical schools and universities that offers an in-depth program on the subject. Educational opportunities translate directly into career possibilities as Kansas boasts a high median salary for hotel managers compared with the national average reported by the Bureau of Labor Statistics: Hotel managers in the state capital of Topeka earn a median salary of $92,212 per year. Hospitality management encompasses several job designations, and students interested in this field will find solid programs offered by the schools listed below. Founded in 1927 as a technical school, Butler Community College is a mid-sized community college that offers a wide variety of academic programs to nearly 8,400 students annually and boasts a small average class size ratio of 17:1. Students attend Butler Community College for its affordable degree programs, and those interested in a career in hospitality management will appreciate the school’s course offerings related to this field. Housed under the Division of Career & Technical Education and Advanced Technology Center, the Hospitality Management A.A.S. provides a strong overview of the skills needed as a professional working in tourism, hotels, restaurants and other related industries. Those looking into hospitality degrees in Kansas will appreciate Butler Community College’s technical approach to learning. The Associate in Applied Science offered by the Division of Career & Technical Education and Advanced Technology Center allows students to concentrate in Hospitality Management while gaining a broad overview of management techniques and business skills. Not only will students take courses covering a wide range of relevant classes, but they will also participate in real-world work experience through hands-on opportunities with local businesses, which helps prepare graduates for careers in the field. Courses cover subjects related to hospitality management such as catering, convention management, culinary and restaurant management, event planning and hotel operations. Along with the general associate’s degree in management, students may choose one of two tracks depending on their specific interests: hotel management or restaurant management. The program requires at least 60 hours to be divided among core hospitality classes, specialty track classes and internships. Fort Hayes promotes “forward thinking” as their primary mission and offers an impressive lineup of online degree programs available to a wide range of students both in the U.S. and internationally; in fact, of the 13,441 enrolled students attending Fort Hayes State University more than 8,600 of them are pursuing online programs. The school was established in 1902 and continues to expand on its mission of progress by offering contemporary leadership degrees like the Bachelor of Science in Tourism & Hospitality Management housed under the university’s Virtual College. The bachelor’s program in hospitality is an accredited online program that enables students to develop strong leadership skills. Fort Hayes State University offers a comprehensive Bachelor of Science in Tourism & Hospitality Management that coincides with the school’s online business administration degree. As a leader in distance education, the school makes getting a bachelor’s degree not only convenient but very affordable with tuition rates ranking among the lowest in the nation. Students who pursue a B.S. in hospitality will take the same courses that all students enrolled in the business program take as well as courses related to tourism and hospitality. The program requires a total of 124 hours designated as follows: 55 credits of general education, 27 credits of core business courses, 24 credits of tourism and hospitality core classes, 12 credits of tourism and hospitality electives and six credits of free electives. Students take the B.S. program entirely online, but classes are taught by the same professors who teach the on-campus courses at Fort Hayes State. Founded less than 40 years ago during the height of the community college movement in the United States, Johnson County Community College has evolved into a large technical school that serves nearly 20,000 students and offers more than 140 certificate programs and degrees. The school’s Hospitality Management and Culinary Education department educates students on modern techniques in both the hospitality field and the culinary world, and the programs they offer comply with accreditation standards of the American Culinary Federation Educational Institute Accrediting Commission, a distinction shared with just 27 other institutions. Students may pursue a variety of programs including an Associate of Applied Science. Hotel & Lodging Management, A.A.S. Johnson County Community College offers a broad overview of the hospitality industry for students seeking hospitality degrees in Kansas. Unlike other management programs, this program is designed to provide the skills and training needed to become a department supervisor or trainee as opposed to the general manager of a hotel or similar position. The program combines two distinct areas within hospitality: food service and lodging management. Students who complete this program will gain the necessary techniques and concepts to pursue entry-level positions in a wide range of fields related to hospitality. Courses cover a broad range of topics including hotel marketing, food management, cost accounting and several seminars on specific concerns of the hospitality industry. Along with the required coursework, students have the opportunity to meet and network with local business owners. At the end of the program, graduates will have completed at least 66 credit hours and be awarded an Associate of Applied Science. Established as a public institution in 1863, Kansas State University boasts the 135th spot on U.S. News and World Report’s list of the best national universities, and students here enjoy a wide variety of modern academic programs. Kansas State University’s Department of Hospitality Management and Dietetics believes that understanding people’s needs and servicing those needs form the basis of a career in hospitality and designs its hospitality degree programs around this ideal. Students who pursue a degree in Hospitality Management from the school will gain valuable insight into the theories of effective business as well as practical application of those theories. Students have several options when it comes to obtaining a bachelor’s degree in the hospitality field at Kansas State University. The Department of Hospitality Management and Dietetics offers a Bachelor of Science in Hospitality Management in which students can specialize in one of three distinct tracks: convention, meeting and event management; food and restaurant management; or lodging management. Students will complete a total of 120 credit hours divided into core classes and general education, and students are also required to complete 200 hours of work experience along with 400 hours of internship experience. Due to the rigorous academic requirements, by the end of the program students will have gained considerable experience in the hospitality industry and be prepared to enter the workforce as competent business leaders with specialized hospitality skills. For those who want to pursue additional education, the school also offers a combined bachelor’s and master’s program that awards a Master of Science in Hospitality Management. 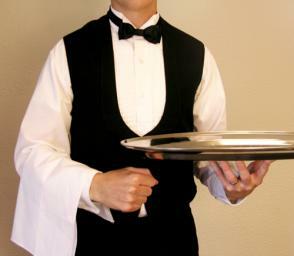 Hospitality management goes beyond hotel duties and may lead some into the food service industry as caterers or the business world as convention organizers. According to the Bureau of Labor Statistics, event planners earned a median salary of $45,810 in 2012 and will enjoy a 33 percent job growth over the next decade. Students who pursue hospitality degrees in Kansas will learn the skills needed for a career in this steadily growing industry.